If you read the New York Times this weekend, you may have seen their Business section’s big, splashy profile of R. Martin Chavez, the chief information officer of Goldman Sachs. The headline: “A Gay, Latino Partner Tests Goldman’s Button-Down Culture.” I object. My reading of the implication of this headline is: “A gay, Latino partner at Goldman Sachs constitutes something remarkable in and of itself.” This implication may be factually true and utterly pitiful at the same time. The story presents Chavez as a far-out iconoclast within the culture of Wall Street: besides being Latino, and homosexual, he’s a sober alcoholic, and his roots are in Silicon Valley rather than New York City. Then again, he’s not so much of an iconoclast that he couldn’t end up as a Goldman Sachs executive: he went to Harvard, and his career in tech was focused on finance products. 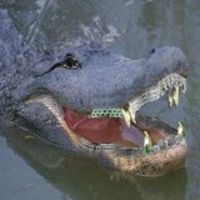 I am typing this out only to make this point: The fact that Goldman Sachs has a partner who is gay, and Latino, and used to party on Fire Island, and who has a more open attitude towards technology than was typical in previous eras of Wall Street, does not change the fact that Goldman Sachs is Goldman Sachs. There are real changes in the way that Goldman Sachs and the rest of Wall Street operate—say, holding less leverage so that they are less likely to blow up and destroy the global economy, or reforming the way that executives are paid in order to reduce their incentives to chase short term profit at high risk—that are significant. The installation of one gay Latino partner is nice, but not significant in the same sense. There is a strong neoliberal tendency to present the idea of “diversity of race, gender, and sexuality within the existing structures of corporate America” as the definition of what diversity is, and as an extremely meaningful piece of progress. It is not so. 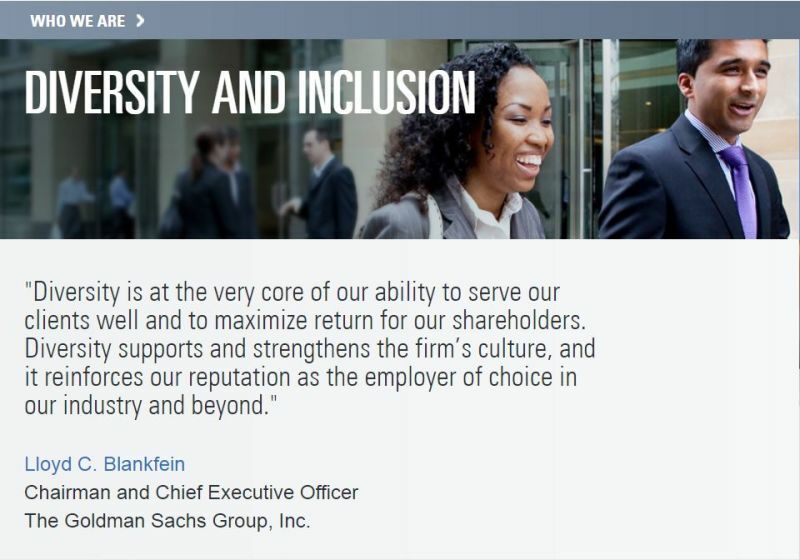 Yes, the corporate offices of Goldman Sachs should have a diversity of race, gender, and sexuality, as should all areas of all businesses in America, because it implies the passing of an age of discrimination in those areas. But such diversity, even if achieved, does not change what is really wrong with Wall Street: the fact that Wall Street operates as a gigantic skim on the global flow of money, allowing a tiny class of financiers to absurdly enrich themselves, driving the economic inequality that afflicts us. If we allow ourselves to become enchanted by superficial diversity at Wall Street firms, we risk forgetting that there are much deeper issues to be addressed. Lets not fall over ourselves applauding Goldman Sachs partners until Wall Street is a very different place. Yes, Wall Street should be diversifying its highest tier. And at the same time, we should be tearing it down.